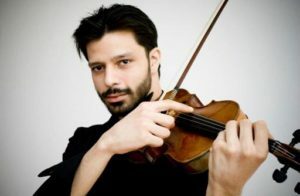 Is there such a film genre as “docu-thriller?” If not, there should be as “Strad Style” is exactly that as it pairs an unlikely (dare I say) artisan with a world-renowned violinist, Razvan Stoica, who has requested a replication of a Del Gesù violin. The Stradivarius and Del Gesù violins are considered the most rare and best in the world and were produced in Cremona, Italy in the 1700’s. Daniel Houck has accepted the job to duplicate this fine instrument, but there are a few glitches in this commitment. He is a financially strapped young man, lacking education, no formal training in making violins, and “living in the middle of the country in the middle of a corn field,” aka Ohio, and is using a poster of the violin as his guide as he has never seen a Del Gesù. Given Daniel’s circumstances, it’s a race against time as he finds himself committed to delivering this violin in person in Amsterdam for Stoica’s solo performance. Filmmaker Stefan Avalos captures the day-to-day living of Houck whose candid demeanor is at once disarming, but also concerning as he seems to lack the means by which to survive let alone create a masterpiece of an instrument. Houck is disheveled, unorganized, and lives in a huge and perhaps at one time, a grand old home. With every step he takes, he is living dangerously as evidenced by the collapsing staircase and the clutter surrounding him. He has no heat and with his bipolar disorder, he appears to lack motivation and discipline. Houck is the exact opposite of what you would think a man who makes precision instruments would be like. Houck’s progress and lack thereof is shared with Stoica as they talk about deadline, and somehow Houck is giving him reassurances of near completion. Stoica is completely unaware of what is actually happening. As the clock tick, tick, ticks, Houck seems to hit several bumps in the road to completion, many of which he admits, are of his own making. He does feel the pressure as he applies for his first passport, readying to travel abroad, but the level of anxiety isn’t close to what I felt just watching him stumble during the making of this violin. Avalos strings you along, rooting for this untrained journeyman all the while dreading what the possible pitfalls and grand finale may be. It’s an edge of your seat, nail-biter until the bitter end. 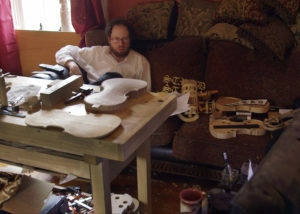 “Strad Style” is no ordinary documentary as the subject and narrative line have an unknown ending. All is riding on the outcome and Avalos creates great tension and suspense while connecting you to the main character. Editing this film must have been a painstaking process, but the final film is of extraordinary calibre. It’s a thrilling ride in the life of a seemingly ordinary man. 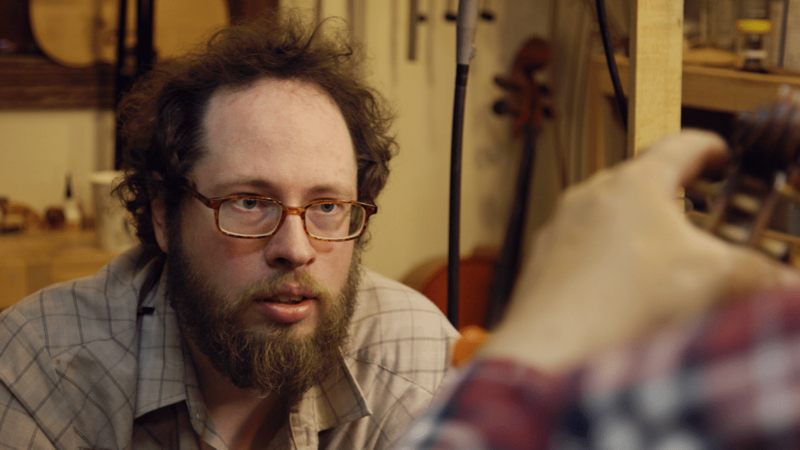 “Strad Style” had its premiere at the 2017 Slamdance Film Festival and is now on Amazon, iTunes, VUDU and Google Play. 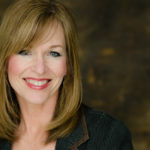 For more information, check out the film’s website: www.stradstyle.com. I had the pleasure of connecting with Stoica and briefly talked with him about the film experience. I have not included it in this review as this would spoil the ending. Check out more informaiton about Houck go to houckfineviolins.com.